Buying a Russian SIM card to connect to mobile Internet or to make calls in or from Russia is very economical. You just have to go to one of the many Russian mobile stores and present your passport. If you are spending a stay in Russia, surely you’re set to buy a Russian mobile phone SIM card to get internet connection anywhere and make cheap calls. If you use your mobile phone line in Russia, the invoice can be very expensive, which is why it may be interesting to purchase a SIM card from any Russian mobile phone providers. For 400 rubles (just 4 pounds), you can purchase a Russian SIM with 400 minutes of calls and 3 Gb Internet connection. In addition, they are easy to acquire and you only need your passport. Is it worth buying a Russian SIM? What does it cost to buy a Russian SIM card and which companies offer it? Where to buy a Russian mobile phone SIM card? What documents do you need to buy a Russian SIM card? If you’re making a short trip of a few days to Moscow or St. Petersburg, it is likely that you don’t need a mobile phone SIM card because hotels usually have Wi-Fi and many cafes, restaurants and public areas have free Wi-Fi. 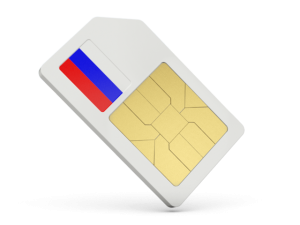 Now if you are spending a long stay in Russia or if you are going to make a longer trip on the Trans-Siberian trip or you simply want to be permanently connected with your phone, then it is worth acquiring a Russian SIM card as they are cheap and easy to acquire. 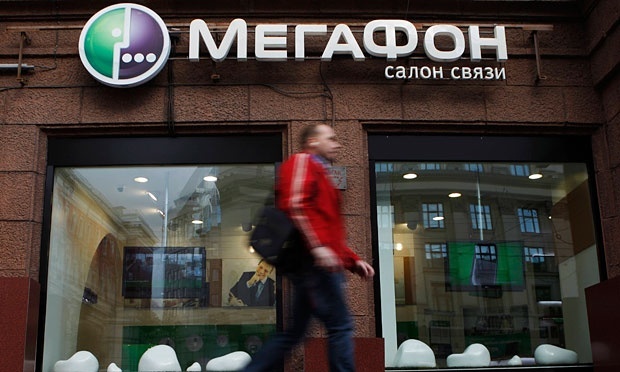 In Russia there are dozens of mobile phone companies, but the three most common are MTS, MegaFon and Beeline, though there are many others (Tele 2, Rostelecom, etc). I can’t say which one is the best and the less expensive since they are constantly changing their rates. MTS is a bit more expensive and MegaFon is perhaps the most popular. In any case, the price difference is not very significant. To my knowledge there is no fee especially aimed at tourists by the Russian companies. I guess they don’t consider it an interesting market. But this is not a problem when purchasing a SIM card with any of the prepaid rates aimed at the resident population and you pay only for what you anticipate you’ll consume. MTS. It provides a Smart rate to make calls and navigate. For 450 rubles a month you have 500 minutes of calls in Russia and 3Gb Internet. There is another plan, called Ultra, with more minutes and megabytes. It also has the MTS-Connect Plan, with more Internet-oriented rates, and offers free Internet for 50 rubles a day (with unlimited Internet) or 3 GB monthly for 350 rubles. MegaFon. It has similar plans called “All Inclusive” which are a bit cheaper than MTS. The Plan All Inclusive S costs 390 rubles a month and offers 400 minutes of calls and 3 Gb. Then there are plans with a greater number of megabytes such as All Inclusive M, All Inclusive L, etc. Beeline. It has the “All for” rates, such as All for 600, 900, 1500, etc., indicating the package price in rubles. For 600 rubles (All for 600) you have 5 GB and 600 minutes. Rates also available only to navigate. Mobile phone companies have an extensive network of offices that are easily recognizable on the street. You can find them at the airport, near metro stations, in shopping streets or in large shopping centers. Choose the first that you see. You will find many. You can also find them integrated into other businesses or even down the street in summer. You have to make the payment in the office itself, according to the package you’re hiring, and then you can recharge it at any office or through their websites by credit card. Acquiring a SIM card via the web is only possible for the local population, since only ships within Russia. However, if you live in Russia you can also get it. I have also seen that there are some websites in English selling Russian SIM cards and they act as intermediaries. I haven’t found anything trustworthy so far. The prices they charge are very expensive. All you need is your passport or registration certificate in Russia. With your passport you should have no problems in acquiring a SIM. It is rare for stores to negate the sale to a foreigner, but if you have problems, just go to another store and problem solved. Finally, you must take into account the size of the SIM card that you will need (standard, micro or nano for iPhone). I recommend that you ask the vendor to put the SIM in your device and activate it. If you are spending a long stay in Russia or if it’s a short stay but you will make an intensive use of your mobile phone, it’s worth buying a Russian SIM card, as they are cheap and easy to acquire in any mobile store. 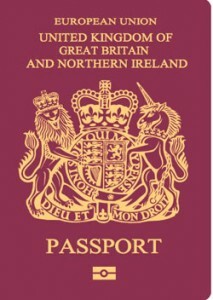 You only need your passport.